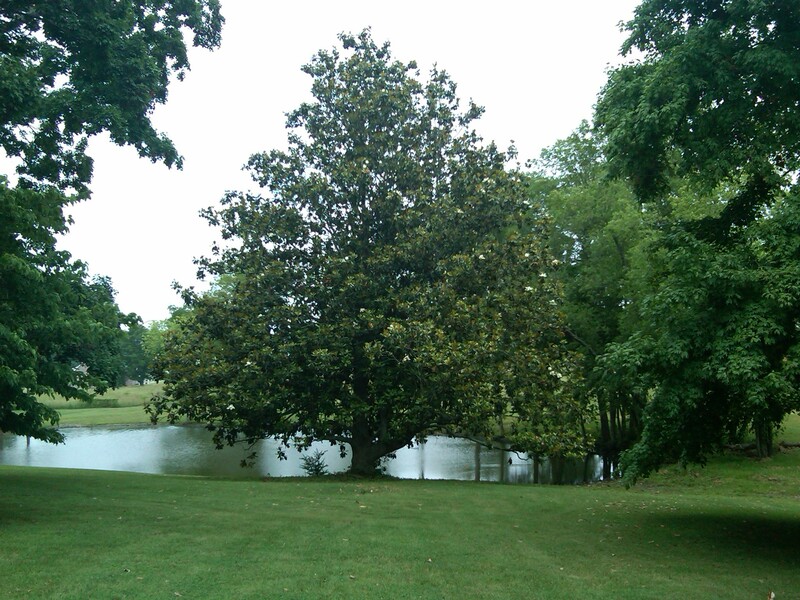 Southern Magnolia Trees are unique. They stay green year ’round; but they seem to lose their old leaves in the spring while growing new leaves in their place. And you get this huge ivory colored flower in early summer. Gotta love ’em. This 60-year-old Magnolia is the largest I've personally ever seen. This picture is taken approx 150 ft from the tree. The kids spend hours climbing in its branches.